The Response Card in Magazines: To Keep It or Not to Keep It? Is that the real question? The response card as a vehicle to communicate has been debated for many years, especially with the advent of the Internet, which accommodates inquiries to websites directly. Many publishers dispense with the card. Others keep it, and continue the debate. Some, like I&S, re-institute it as a test or in conjunction with an advertiser investment. In all cases, however, the discussion ebbs and flows around how people find information. This report is about one year (2014) of inquiries from the card in I&S Magazine, one of the premier magazines in the interior design space. It was written by Accountability Information Management, Inc. with the intention of helping the publisher and his advertisers make an informed decision on whether to keep the card or not. The intent was to provide unbiased information based on the responses in order to determine is the information valuable to advertisers. More importantly, we wanted to show if the information was valuable to the publisher? We already knew that many advertisers do not follow up on leads. But, neither do publishers. The discussion should not be about which “side” should be doing the follow up, but rather, is the information from this activity valuable or not? Sadly, the response card was cut subsequently, as it has been in virtually all other print magazines in the B2B world. These are always difficult decisions. They weigh economic factors, as well as changing ways people consume information. And while there is not doubt about online taking the lead in taking control of a person’s time for information consumption, killing the response card, in our opinion, helped kill B2B print. The lack of follow up by both advertiser and publisher critically injured print’s power. Just look at the audience who responded to these messages: professionals through and through. How much business was lost in NOT following up? Now much future business by the relationship they created was lost? These actions do not lessen the truth of this information: they prove the point. A feedback mechanism is essential to building any relationship. Judge for yourself as you explore this report, and thanks for reading it. Over the course of the year, the card generated 2,490 total inquiries (299 unique people). These inquiries were delivered to 147 advertisers. Each month the cards were physically entered into a database and then sent electronically to the advertiser in an Excel spreadsheet comprised of three tabs: The respondents, the labels, and the actual questions that the individual answered when he or she inquired. What happened after that with the inquiry is unknown. In other words, what advertisers do with leads is unknown, as it has been traditionally unknown. Many years ago, a magazine rep phoned us in a panic as a major advertiser was threatening to pull the schedule because of a lack of inquiries. This was before the Internet. The rep sent us the eight names that were generated from the ad – a passive plumbing product that wrapped around pipe below a sink to protect individuals in wheelchairs from injuring themselves as they pulled up to the sink. In looking at the eight inquiries, we asked if the client had followed up. “I don’t think they even looked at them,” the rep said in desperation. One of the leads was from an “ADA Consultant” for one of the major trucking companies in the U.S. We called him, and he told us he controlled all the buildings for the company, and they were in major ADA renovation mode. We prepared a report, the rep presented it to the client and needless to say, the client renewed. This story has not changed, despite the Internet. It underscores WHY people take the time to fill out a card, or call a company, or send an email: they have an interest. And while we argue the level of interest, or the “quality” of interest (which this paper will do), the fact that something showed up through the mail is an important metric – even if, as we will also show, there is potential mischief in such response. Lack of follow-up is still the number one cause of ad schedules going South, because it is only through follow up that value can be demonstrated. Additionally, the problem is compounded because of the many ways a person can ask for information. Most people start with Google. But some – as this project has demonstrated – also use the traditional reply card to get information from advertisers (i.e., we assume correctly that everyone who used this card also uses Google, and have confirmed that in conversations, so no channel is exclusive of another). Judging the value of the card necessitates judging the value of the inquirer; because it has never been a quantity battle. It has and always will be a quality battle. However, since most people seek numeric metrics because it’s easier, let’s begin with that before we examine the quality of these 2,490 requests. The average leads generated through this channel per advertiser was 17. This means that just for “being there,” an advertiser should expect 17 requests. However, the average per insertion was 5. There were 544 “insertions” in the year. These are important distinctions, as will be demonstrated. Some ads tend to do better than others. Some ads did not generate any response through the card (these were ignored in this study). Furthermore, since we have no way of knowing what advertisers do with leads from advertising (i.e., we don’t know what happens when the phone rings, when an e-mail is received, etc. ), all we can examine is the quantity and quality from the response card. Therefore, by stopping the card, publishers give up one of the few remaining ways they have of knowing ANYTHING about the response behavior of their audiences. You see, it is actually more important for the publisher to know this information than for the advertiser to know it simply because of the way information is distributed today. This is NOT a judgment on the quality or the quantity. And naturally, response card leads may or may not be as great as they were. This doesn’t matter. What does matter is that response happens, and it is up to the publisher to determine the quality so that he or she may argue properly with the advertiser who simply doesn’t know. Determining the value will lead to a “yes” or a “no” for the value of the lead to the advertiser. Without such determination, it’s all guesswork because just looking at a number will never do anything. 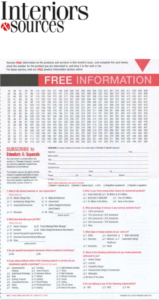 For example, has the publisher of I&S received any feedback on these card leads from advertisers? Any compliments? Complaints? If the publisher has experienced silence, then most likely advertisers have NOT been following up on the leads (which will be demonstrated further in this report when quality is examined). Because just in the structured analysis of these responses, we found unbelievable opportunity – and interesting stories! Before discussing, let’s finish with metrics. 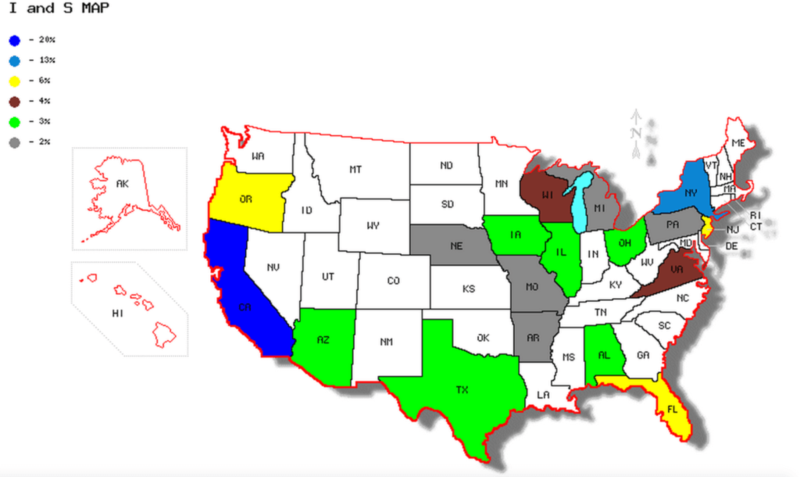 The distribution across the U.S. was excellent (the white states on the map are 1% each of the total inquiries). The range of response to an advertiser was 1 to 134. This means that one advertiser generated 134 responses, while others only 1. In fact, when you read about the Quartile discussion next, you will see that modularArts Inc generated 134% MORE inquiries than the nearest advertiser, Aceray. There are reasons for this, but this report does not cover those. Correlating the Readership Studies conducted for the publication would provide clues. For example, here are two charts from their respective readership studies (modularArts and Aceray – both who ran frequently). Can you guess which is which? That is, can you tell modularArts from Aceray based on knowing that modularArts drew 140% more inquiries? The median for advertisers was 12. Median is another way to look at the overall metric, and is the “score in the middle.” If an advertiser did not hit the average of 17, the median makes them feel better. In other words, it is a way to “comfort” the metric blow. The mode was 5. Mode is the most often scored, and is another way to make the advertiser who did not hit the 17 average feel better. During this year, 54 of the advertisers were at or above the average of 17. This means 93 were below that average and would benefit from knowing the median and the mode.? It is often useful to look at aggregate of leads in Quartiles, sorted by insertion frequency. This kind of picture always presents useful information for the publisher AND the advertisers. Ten companies controlled 25% of the leads (the first Quartile). In sorting the list of advertisers by insertion frequency highest to lowest, and then splitting the list into quarters based on number of inquiries, we can see one of the most consistent patterns in advertising: that is, frequency pays off. You can see that these 10 companies averaged 83% more inquiries per company than the next Quartile, and even more than the others. Moreover, the only difference between this Quartile and the others is the frequency of advertising (Avg. Number of Insertions). This is one of the “truths” of advertising: frequency breeds results. 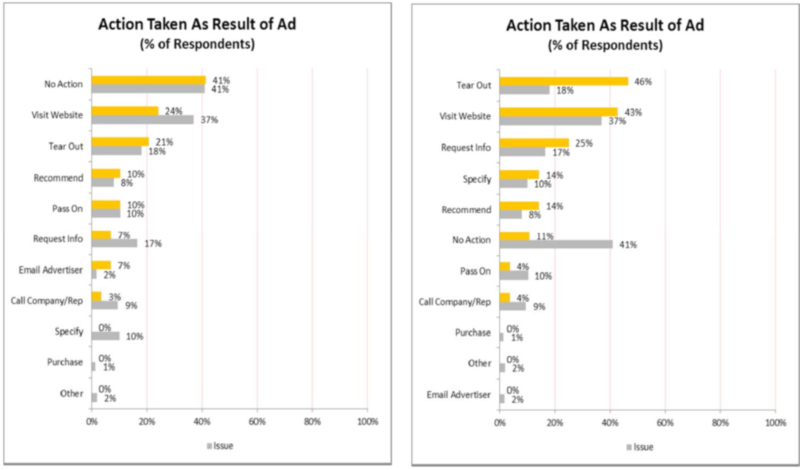 In other words, Q4 used more insertions, but had fewer leads per advertiser. Why? They ran their ads much less frequently than Q1. The three other Quartiles are shown in Appendix 1. In fact, the card is actually an indicator of what happened beyond what you can see; that is, it is highly likely that behavior of the card reflects the behavior of your audience to that advertiser OUTSIDE the card. 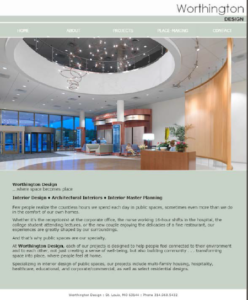 For example, we conducted focus groups at HIGHPOINT Market a couple of years ago with designers and used I&S magazine in those focus groups. We received candid, honest feedback on HOW designers use magazines. We found out that designers tear ads out of magazines and file them for future reference with their clients. This “action” is never heard of through ANY response mechanism, and is only uncovered through conversation and dialogue with designers. In fact, when you visit a major design firm, you will see ads tacked to their work areas, in the planning rooms, etc. Anyone who doubts the value of print has never walked into a designer’s studio. Now let’s turn to the quality of the people who used the card to contact the advertiser. The basic understanding that we must come to terms with is that there will be good and bad in ANY inquiry file. In fact, in ANY customer file. We see customer files each day and can tell you (and this includes your own circulation files) these are living and breathing things. They change constantly, and as will be demonstrated in this analysis, things happen that are out of our control. And when things happen, opportunity is knocking. The only question is are you going to answer the door? We have yet to meet a file with zero value. Even in uncovering mischief (as you will see), there is value! There were 299 companies that were unique to the advertisers that comprised the 2,490 total inquiries. No individual inquired more than 4% of the total inquiries generated. The top inquirer was Joe Alonge Limited, who according to Nexis® is a $430,000 annual sales firm in Sea Clliff, New York. 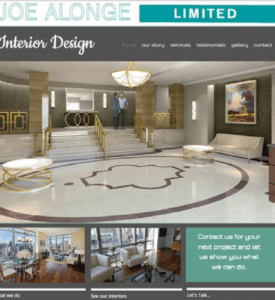 Joe inquired 110 times in seven issues as Joe Alonge Limited, and another 15 times in two other issued as Joe Alonge Ltd, so he used nine of the 12 issues to ask for information. His pattern is interesting: he requests information from the same advertiser – not every issue, but dependent on the ad content. There are many “Joe’s” in your file of inquiries. 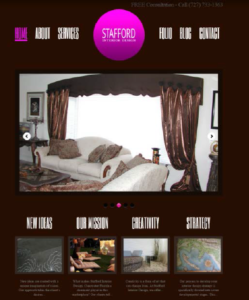 For example, Stafford Interior Design inquired 17 times. While a good looking website, it doesn’t work well. Did your advertisers find that out as well? Should someone from your magazine have called them to tell them they are missing opportunity? Every inquiry has a story, but is it the publisher’s responsibility to get the story – or is it the advertiser’s? This is the fundamental question, and of course, the value of such stories goes to he or she who answers it. This report should prove to you the value of I&S inquiries! How many of your advertisers want to do business with the US Air Force? How many facilities does the Air Force have that require interior design? The answer is 108. So another question is, does Elizabeth have influence over all of them, or just her base, which is Vanderberg Air Force Base in Lompoc CA. These are intriguing questions, but who is Elizabeth? The Internet is an interesting vehicle to gain information, so we found this photo of Col. Keith Balts, 30th Space Wing commander, Daniel Becker, Vandenberg Lodging general manager, and Elizabeth Waters, 30th Civil Engineer Squadron interior designer, cutting a ribbon for the new lodging office on Tuesday, August 20, 2013. 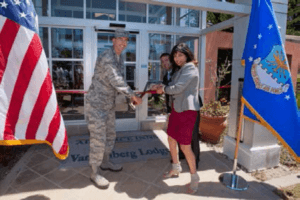 The new facility gives the Vandenberg Lodging center a bigger, brighter building and provides a better first impression for guests and customers. Respectfully, she is the designer. Do you think she talks to others of her ilk in the Air Force? Do you think the advertiser should? Do you think you, as the publisher, should round up all the Air Force interior designers and make them advocates of your publication? You can see how examining just a few of the 299 lead to wonderful opportunities. Imagine pursuing all of them! But where there is good, there is bad. Dr. Weapenie Meyers came in 46 times from a facility called CHS whose address was 400 S Avenue, Crivitz WI. 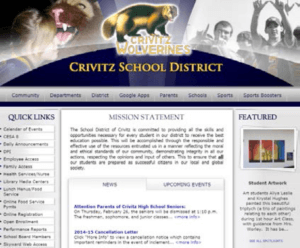 That address belongs to the Crivitz School District. Unfortunately, Dr. Meyers isn’t there. In fact, the other card was filled out a few months later as Dr. Moe Lester Meyers. Now there is a Meyers who is a teacher in the district, but these are clearly mischief. But the question is, how does this help the publisher or the advertiser? The better question is, which of the advertisers contacted the good doctor? Because if they did, they would have certainly found what we found (the person doesn’t exist). Maybe more important, a call from the publisher to the school saying we have to take you off the circulation file because of this. Mail fraud is, after all, mail fraud. Exaggeration? The point is that any information is good information so long as it leads to knowledge. “Beauty is in the eye of the beholder.” The value of a lead is always in the eye of the beholder, not in the lead itself. What is one person’s gold, is another’s fools’ gold. And while the argument can be made that “gold is gold” and that he who doesn’t recognize that is in the wrong, value is determined not by the thing in itself, but in the need of the person for that thing. The reason advertisers no longer value leads – or value only the number of leads – is that we ourselves have not shown them the value. No one is kept warm in winter by the equation “2+2=4.” And while large numbers tend to make people feel good, it also depends on what the large number is associated with (i.e., a large number on an electric bill this winter will not make people happy). The reply card used by I&S is simply a channel through which information flows. Keeping it – or stopping it – is, of course, the publisher’s decision. And like all decisions, there are consequences good and bad to every decision made. It has been and continues to be a pleasure to serve you in executing the logistics around this card. Any questions about this report, please contact us. Also, you will find useful metrics in the Appendices at the end of this report. Thank you. Q1: What is the primary business of your organization? Q2: What best describes your job title? Q3: Do you specify/recommend commercial interior products & furnishings? Q4: If yes, please indicate which of the following products or services do you recommend, specify or purchase? Q5: What is your firms annual dollar volume for commercial products? Q6: What percentage of revenue is your primary business focus? Q7: What types of design projects do you work on? Q8: Which of the following publications do you receive personally addressed to you? Q9: Do you belong to any of the following organizations?